Most major events and festivals in the city of Atlanta require some sort of permit. The process for obtaining these permits is handled by the Mayor’s Office of Special Events (MOSE). 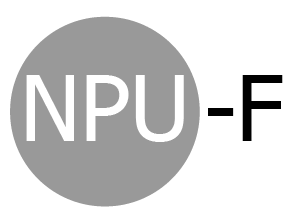 As a part of the process applicants must notify the NPU of their plans and in many cases appear before the NPU to obtain a recommendation. However, the place to start is with MOSE to learn about the entire process. Some street closings, including rolling closures for Road Races or Walks (along Monroe Drive, for example) will landlock residents (see West of Monroe street listing below). While we understand that road closures are for the safety of your participants, please ask your security team or volunteers to allow residents and businesses to leave or access their street without an excessive delay. Several of our local churches rely on street parking. Please check with their staff before requesting a lane closure that may coincide with their worship services. Notify neighbors with street signs, flyers or mailings on all impacted streets (including those that will be landlocked) when a street or lane will be closed so that they can make alternative plans to leave/access their homes and businesses. Consider neighborhood notification as a way to market your event, recruit volunteers, and encourage participation. Residents close to the park enjoy the amenities that come from being a park neighbor! The following streets request that on-street parking be limited to one side during Class A and B events and Road Races/Walks. Please request that signs be posted on these streets. We prefer resident only parking for streets west of Monroe 12 hours before and 12 hours after an event. Note: Even if a street has permanent one-sided parking at designated times, signs should still be placed on that street because the times may not cover festival hours. Place signs on telephone poles, not in the ground. Encourage your participants, vendors and volunteers to take MARTA or the Beltline to your event in all of your publicity materials and websites. Place trash and recycling bins on all corners of Monroe Drive and intersecting streets (i.e. Cooledge, Cresthill, Elmwood, etc.). Be sure to ask your clean-up crews to check for trash in the surrounding streets where your event participants may have walked or parked. The Piedmont Park Meadow is directly across from Grady High School and The Children’s School. Please ask that your technicians and talent use appropriate language when conducting sound checks during the school day. Keep the volume down. Please be considerate of neighbors who may want to “sleep in” on weekend mornings, Sunday morning church services and children who retire early evenings on school nights. Because of the convenience of the Beltline, many of your participants may choose to come to your event by bike. Please consider using a bike corral or valet to reduce the number of bicycles walked through crowded spaces or locked to street poles, fences and trees. Be sure that you have sufficient rest room facilities for your event participants and that they are aware of their locations — especially when the weather is hot and beer is served. Consider putting portable units near the park entrances – help us keep your guests out of our bushes!